Great location , near good restaurants and some shops. Not as busy as Fira or Oia. The view from our balcony was fantastic. Just a spectacular view to wake up to every morning. Can’t beat the view!! Absolutely stunning!! Staff was very generous , courteous and helpful throughout our stay. Amazing staff, fantastic location, incredible service. The bed was super comfortable. The view was amazing and I liked being slightly away from the bustle of Fira. The location was perfect and the hosts were more than accommodating. The airport shuttle was great but a little pricey. Great location. Friendly, helpful and efficient staff. Staff Andres was a great asset to there staff friendly and very helpful with all our needs. Amazingly helpful staff, great location overlooking the caldera, breakfast every morning, close to Fira. You don't even have to leave your room to get a great view of the sunset. An excellent property, well maintained with very beautiful scenery. Staff were very warm especially the bell boy. Extremely helpful. the staff was very accommodating and the view, room and breakfast that was included was amazing! 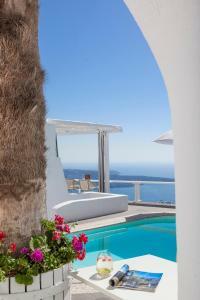 The view, like the view from nearly all lodgings in Santorini, is fine. But that hardly justifies the price. Lock in a great price for Mill Houses Elegant Suites – rated 8.4 by recent guests! 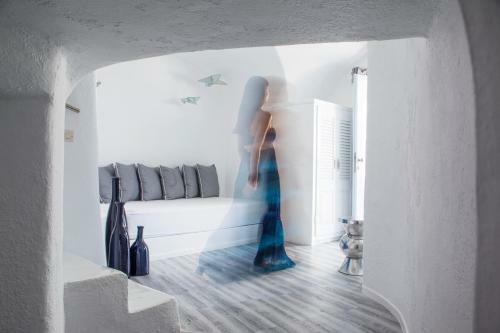 Carved into the rock and built in traditional Cycladic style, the Mill Houses studios and suites come with all modern comforts, including air conditioning, fully equipped kitchenettes and flat-screen satellite TVs. Guests can have a refreshing swim in the pool or enjoy their meals at the award-wining Mylos gourmet restaurant. Breakfast is served either in the privacy of the rooms’ balcony or in the pool area. Mill Houses Elegant Suites high quality services and facilities include free wireless internet, free parking and room facilities for the disabled. Shuttle service to/from the port and airport is also available upon request. 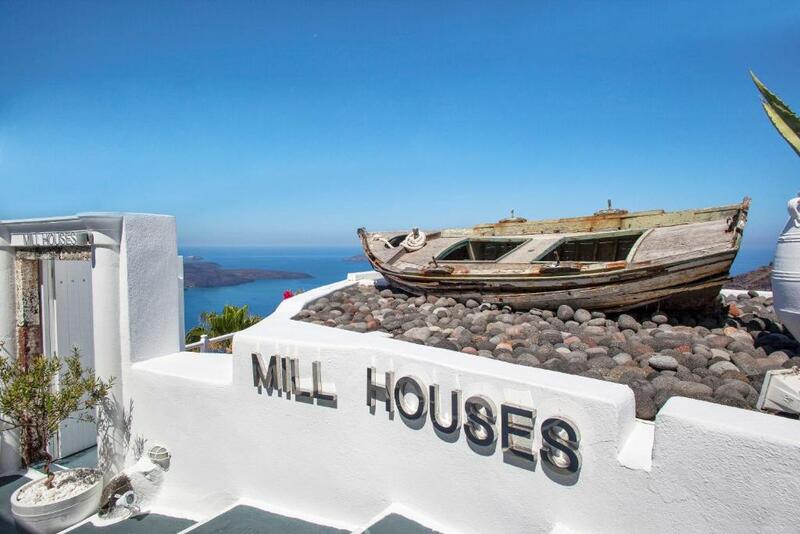 The center of Fira, the island’s capital, is 1,950 feet away, while the airport is at 3.7 mi from the Mill Suites. When would you like to stay at Mill Houses Elegant Suites? 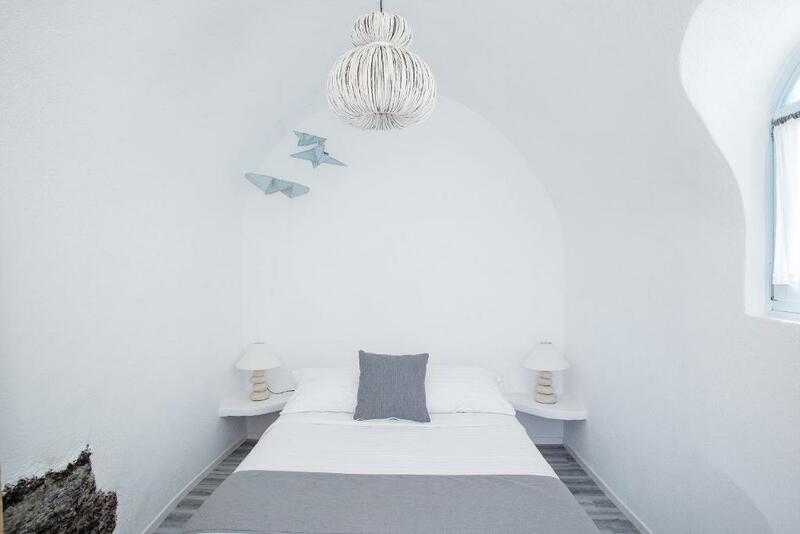 Studio consists of an open-plan bedroom with queen size bed with Cocomat mattress, kitchenette and veranda overlooking the Aegean. 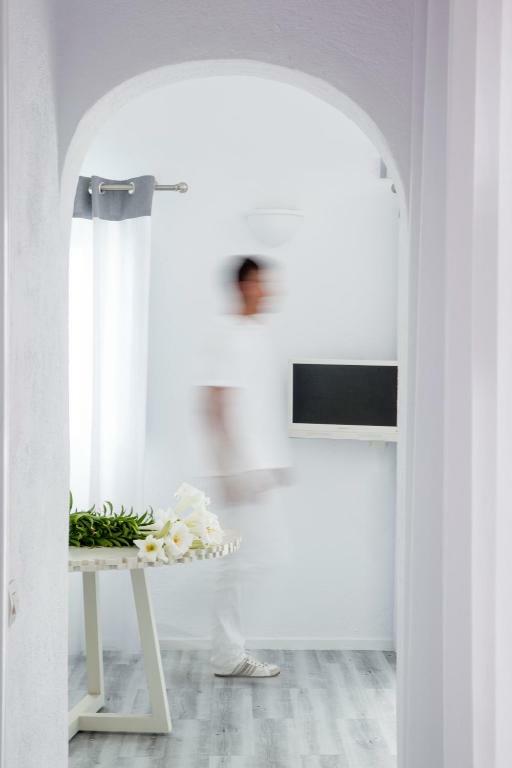 Junior Suites consist of an open-plan bedroom with queen size bed with Cocomat mattress, kitchenette and veranda overlooking the Aegean. 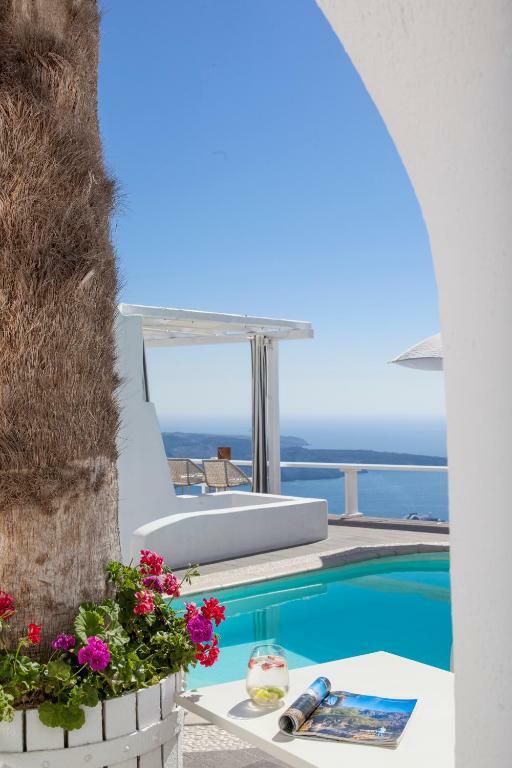 Honeymoon Suites consists of a bedroom with queen size bed with Cocomat mattress, living room area with dining table, kitchenette and furnished veranda overlooking the Aegean. 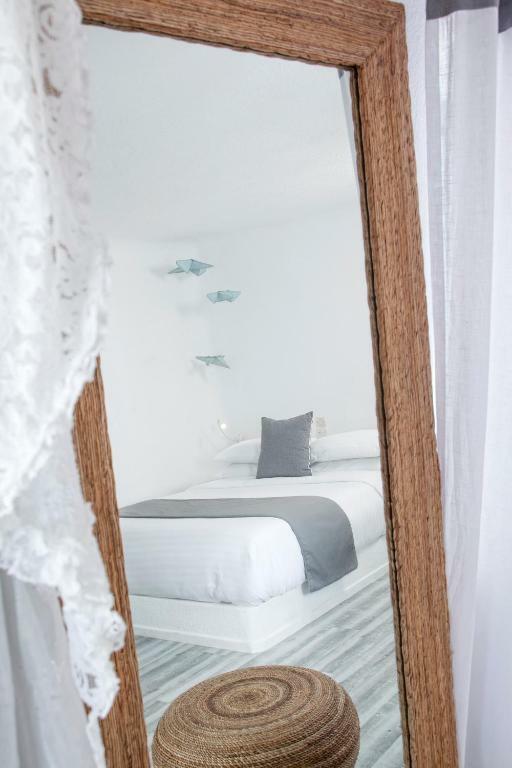 The Mill Suite consists of a bedroom with queen size bed with Cocomat mattress, living area with kitchenette, outdoor hot tub and private furnished veranda overlooking the Aegean. 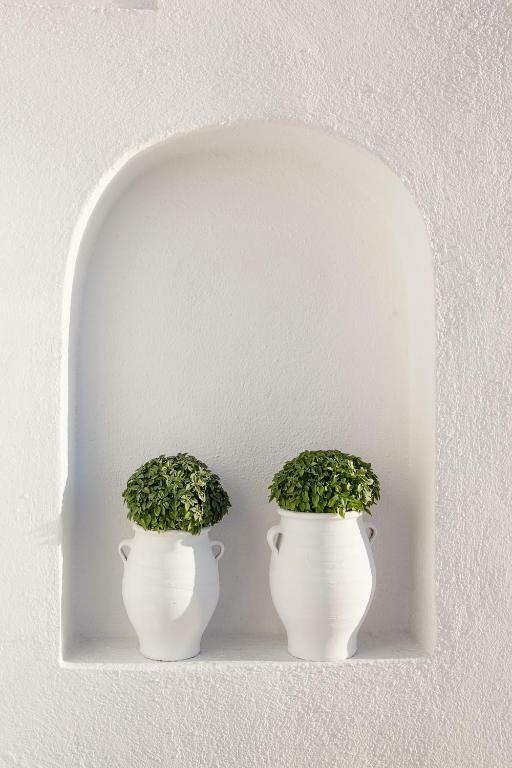 Traditional Suite consists of a bedroom with queen size bed with Cocomat mattress, living area with kitchenette, outdoor hot tub and private furnished veranda overlooking the Aegean. House Rules Mill Houses Elegant Suites takes special requests – add in the next step! Mill Houses Elegant Suites accepts these cards and reserves the right to temporarily hold an amount prior to arrival. best sunset location. and good parking. the staff are very kindness to us. also cats like my friend everyday come home. relaxation . Maybe a few more sun beds. Room was great, like staying in a luxury cave. Staff were amazing and location was perfect. But the hotel is a 1 star max: a tourist trap, with coffee stains on curtains, non working kitchenette, bad plumbing in bathroom, the so called table, was just a baggage table etc etc. Somehow they manage to get some good reviews, and dome really bad reviews. Trust me, the good reviews are fake. You pay 5 stars prices for a 1 star hotel. The location is 4 stars. Disappointing, our room and service were not up to the asking price (300 euros). We descended 120 steps with our luggages to reach room 104, really tiring for 2 seniors. A lot of promiscuity with adjoining rooms and pool (see my photos). Great disappointing, room 104 is composed, at the entrance, a small hall of 8 m2, no chair, no table, in depth, mini kitchen and shower room. The most unpleasant is the bedroom of 6 m2 maxi, accessible by stairs, impratical and uncomfortable. While our booking was "junior suite of 30 m2" .... very bad night. The view is beautiful .... sublime photos .... that hide the reality. Over 100 uneven steps to get to and from reception!! Do NOT book a studio here. 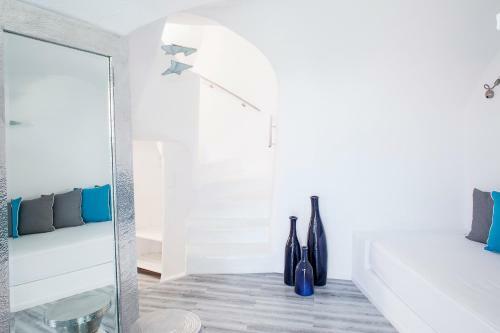 There are three studio rooms which are located far from the amenities (pool, breakfast, reception etc) in a completely separate location - underneath the Mylos bar restaurant. Unless of course you enjoy listening to restaurant music and scraping chairs until 2 am in the morning every night. The bathroom was small and old, with loose tiles. Poor lighting throughout. In the pictures you will see the view from your shower window, out to the street/entrance of the bar. Poor service from the pick-up driver. Placed in a minivan with a tour group and we got ignored, no help with bags, no directions, in the sweltering heat. We moved to a different place for the last night and got what we expected for the same price. Room was slightly bigger than expected. Friendly manager who graciously refunded us one night. I thought from photos we would be close to pool and perhaps food and drinks would be able to be purchased, this was not the case, our room was so far away from pool and where they served breakfast .We never went for breakfast and swam once as wasn’t worth the huge number of steps to get there. I was thinking it would be more 5 star . Cracks in bathroom floor tiles and shower too low for my husband took the edge off. We had a room up the top which was convenient as we didn’t have to walk and up and down too many steps. Unlike many of the other rooms. We had a quiet area outside to sit and the view was great from there, the bed was comfortable and room large enough. Need new chairs to sit on outside they have worn through.Need up date wicket plastic chairs. Outdoor furniture needs to be replace , cracked table top etc Service was not quick staff let the manager down ,Understanding us using English with the general staff was hard. Water should be in the fridge each day and milk for tea and coffee for the money we paid . Very expensive for us a nice view but not for the price we paid . We weren't at the hotel at all had to walk everyday down to get breaky and the pool. 139 steps down and up. Thus we only used the pool once because of the stairs to get down. Yep need to go to Gym ! We had no telly for 3 days asked every day to be fixed. Just to relax with at night 2 days no internet did asked a number of times .Manager came down finally to fix it . Need to proved a portable clothes rack to dry off towels and swimmers. .
Cons Room stated ‘Aegean views’, there weren’t any directly from our room, had to go out the front door and onto the pool area. Our room (106) had the bathroom window leading out to the bar area of the hotel next door. Unfortunately this window was unable to be closed so we had noise, music and occasionally cigarette smoke coming in. The wifi is very unreliable in the room but works perfectly by the pool Only 4 sun lounges next to the pool - when the hotel is full this makes it very hard to find one. Asked for a Taxi transfer to airport, quoted 30€ (it should be 20-30 which is still expensive) agreed on €25 then got taken to a minivan with other people (and charged then 25€) not cool. Just as a side note- there are 100 steps down to Millhouses and another 35 ish to our room. If you have mobility issues or have children this place is not for you. The area is not safe for young kids. Given that they advertise honeymoons and weddings, I’m surprised children are allowed. Also this is a very small hotel, which is great if you get along well with the other guests which we did for the majority of the time, however it is challenging with loud people. Excellent location. Firostefani much quieter than Fira but within walking distance to both Fira and Imerovigli. Beautiful scenic walk. 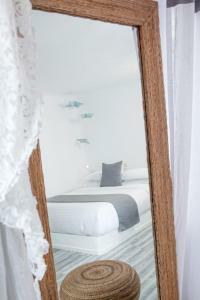 The room was clean, bed comfortable and had beautiful decor. Breakfast by the pool overlooking the caldera was stunning each morning. The staff were very friendly The sunset view! Literally nothing bad exists to say for this location/Hotel. The view was exceptional and staff extra polite and helpful! Breakfast exceeded expectations as there was a wide variety of choices. Rooms were clean and comfortable. 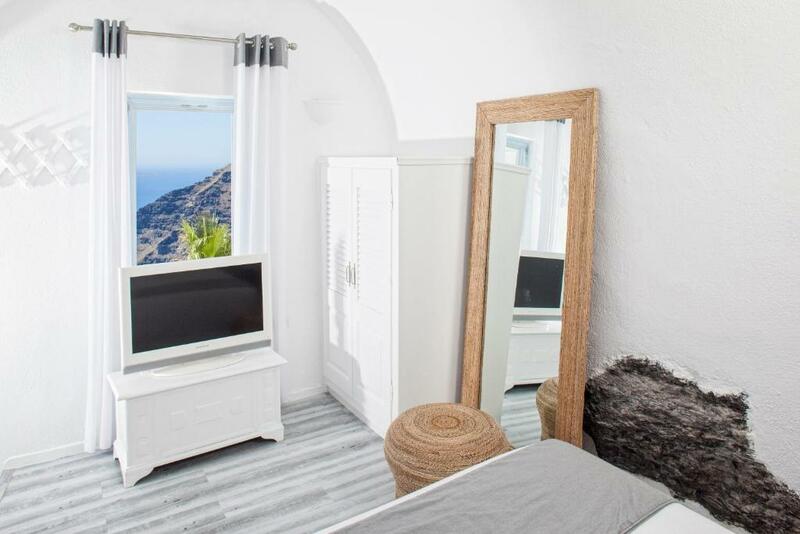 Firostefani location is a great choice to pick for staying in santorini island; walking distance from the capital Fira yet has its own life and same spectacular views to volcanic caldera.